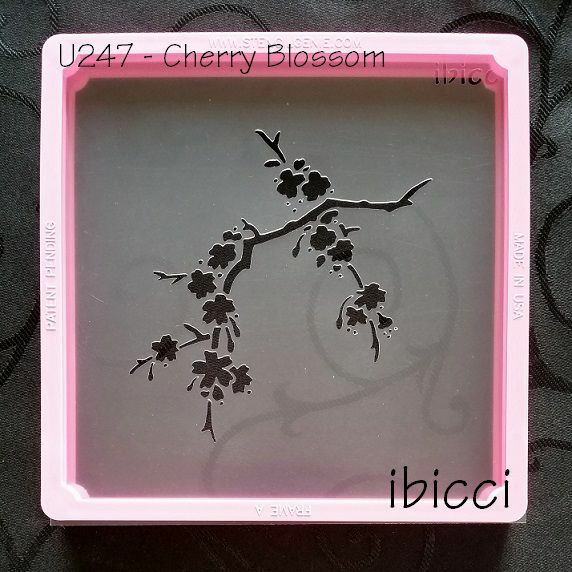 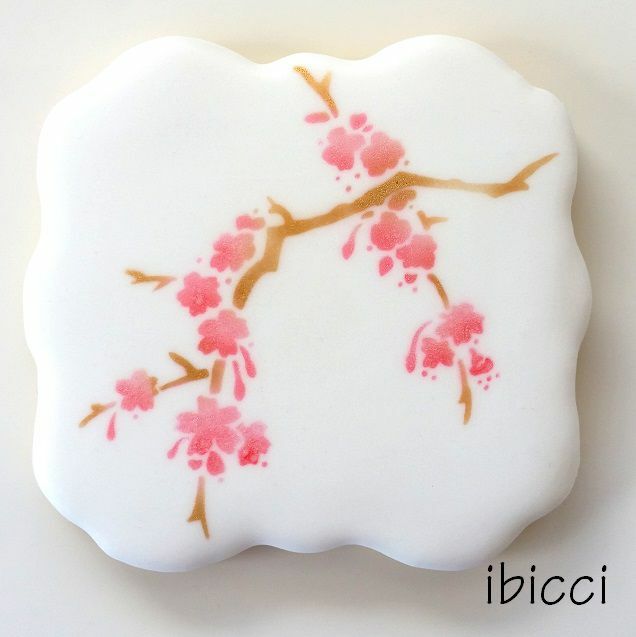 The Cherry Blossom range was designed after Katy from Sugardayne asked if we had a Cherry Blossom stencil as she had recently been stamping cookies (see here for her cookies). 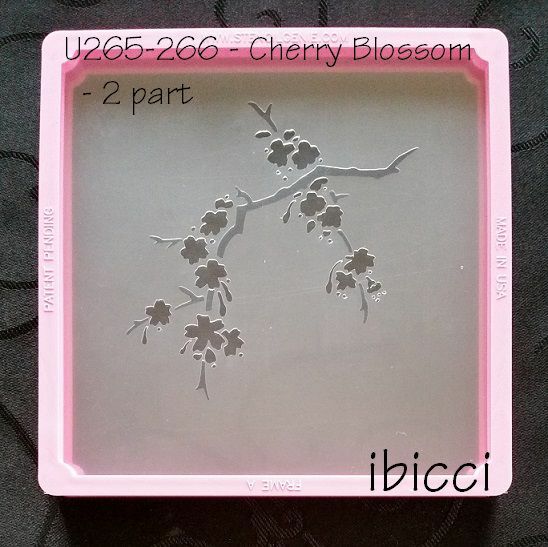 Kat had already started an inspiration file for spring flowers, and quickly designed 3 cherry blossom stencils. 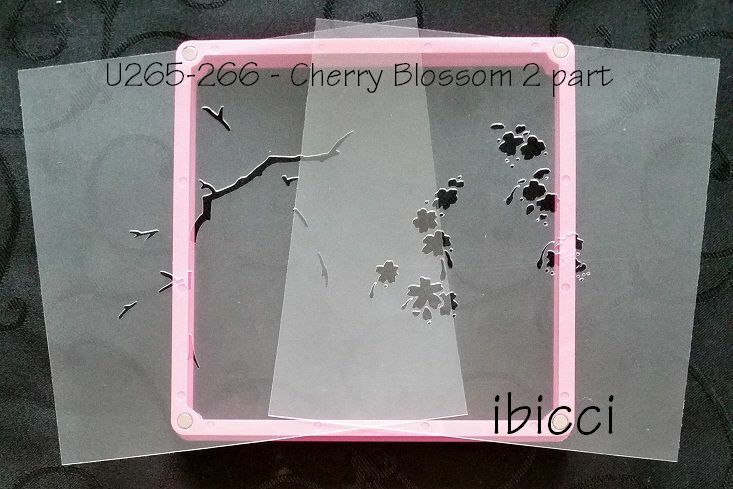 This was the first - an easy spray of cherry blossoms.